Make perfect curvy log cabin blocks easily. 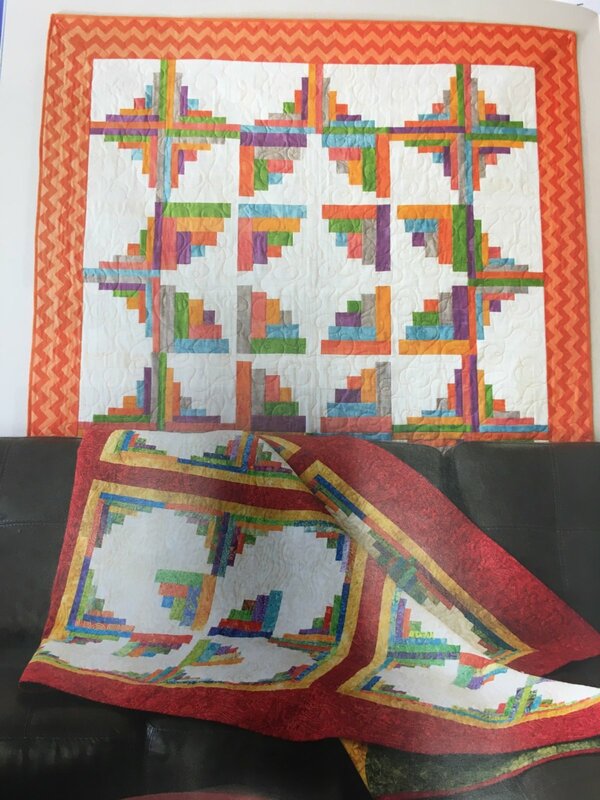 For this particular class, blocks featuring bright and light fabrics are stitched into three distinct units to construct the quilt. Wide and narrow fabric logs are what gives the curved illusion.